I asked her WHY and HOW she did this. She spiral binds books, which she loves so that she can highlight and write more easily in the book. Thank you, Lisa. I had never thought of doing that with any of my fav books. Lisa has been working on storytelling with her son, so that he can make sense of his Algebra class. She found the following sentence buried deep within one of my paragraphs and said that it make sense to her to help her continue. 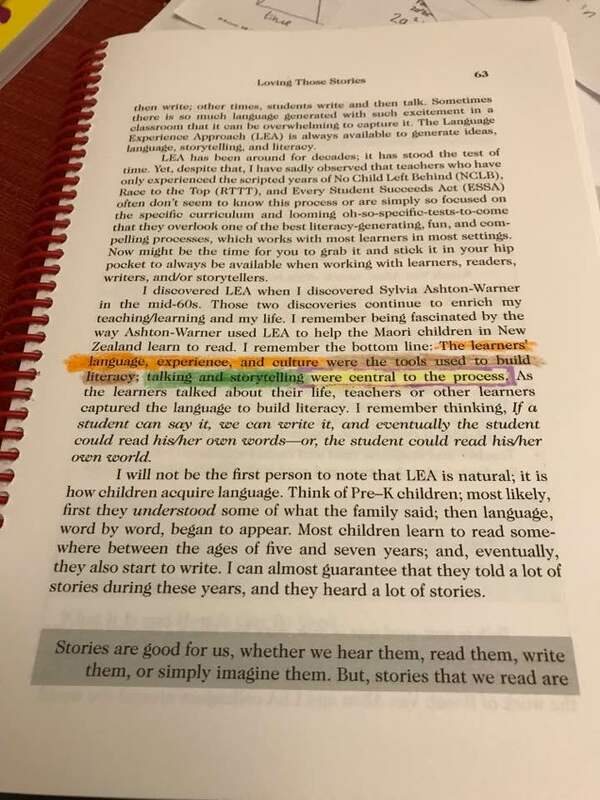 “The learners’ language, experience, and culture were the tools used to build literacy; talking and storytelling were central to the process” (p. 63). 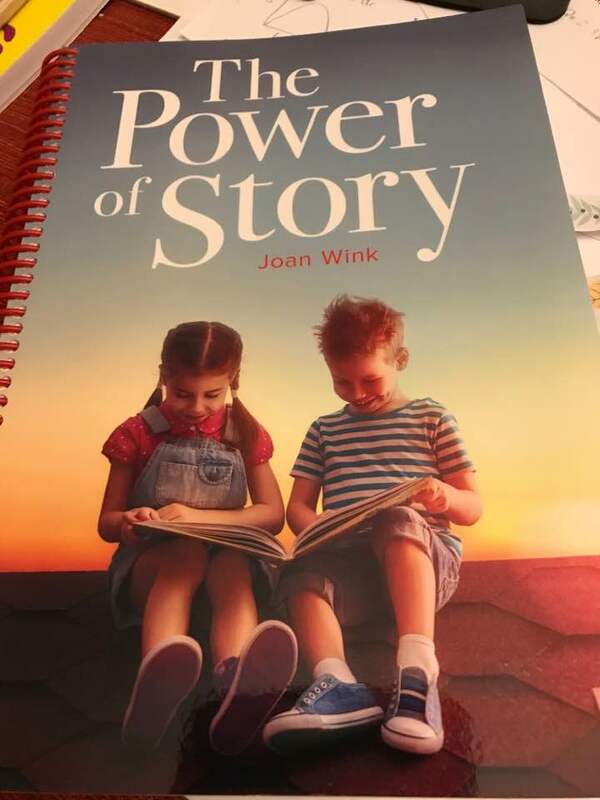 I have asked her to share their storytelling process, if she creates anything which really works for her son. Lisa simply goes to a OfficeMax-type-store, and they take the binding off and put on a spiral. This made me wonder if maybe some libraries and school districts might offer this same service. I hope you will let us know if you have found other ways to add to your own Mystery Red Book Bookshelf. I asked Lisa why she used the word, mystery, and it is because on this bookshelf it is a mystery, which book is which. And, obviously all of the spirals are red. 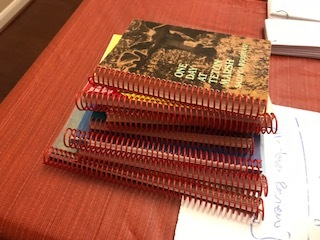 If you create a spiral book, I’d love to have you share it with us. Thank you. Hmmmmm! I do mark up my favorite books, just can’t help it!! Never thought about spirals helping with that, I’m going to keep watching.